Tours can be extremely fun and exciting, especially when you enjoy the trip with your friends, families or colleagues. In fact, going on for a trip is the best way to build a strong bond with friends and family. This is especially true if you travel to Melbourne, a splendid tourist destination in the world. Loaded with a lot of scenic destinations and recreational facilities, Melbourne is definitely the best tourist spot for people who want to take a break from their hectic lifestyle. In order to enjoy your group tour conveniently, you need to look for a car rental service that can offer vehicles in different seater options. AUZ Rental Cars, a cheap car rental Melbourne airport Company, has a wide range of fleets with diverse seating options that you can choose from based on your requirements. Whether your group has six to eight members or more than that, we have vehicles that can accommodate your entire group in a comfortable manner. No matter how many people would be joining your group, we can provide a vehicle that can ensure complete convenience and comfort to all your passengers. Our mini bus is spacious enough to accommodate 12 passengers and let you store luggage, packs, bags and other travel needs conveniently. We want our clients to enjoy the tour in a relaxed and comfortable manner with our car rentals in Melbourne. So, we make all sorts of arrangements to ensure that you get utmost pleasure throughout the tour. At AUZ Rental Cars, we give high priority to the safety of the travelers. That is why we employ only well-trained and experienced chauffeurs to drive your vehicle throughout the Melbourne trip. Moreover, all our vehicles are regularly maintained and are in good condition, so you will not encounter any problems in the middle of the road. As all our chauffeurs are acquainted with the Melbourne routes, we only choose the right and the safest itinerary. So, you can have peace of mind knowing that your Melbourne tour is managed by a team of professionals. 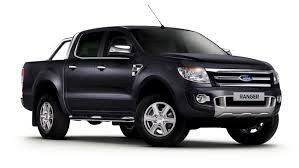 There are no other car hire in Melbourne that can be as reliable as AUZ Rental cars.